Last week, I wrote about one of baseball’s biggest problems: its inability to market the game’s biggest stars (or the game itself). This week, I’d like to delve into the product itself, which, frankly, ain’t what it used to be. Analytics have been great for executives and managers, not so great for fans and attendance. We’re seeing more strikeouts than hits. Batting averages are as low as they’ve been since 1972 – the year before the American League instituted the DH. Teams are employing the shift in more than 17 percent of plate appearances. They’re also using an average of 4.2 pitchers per game – up from 2.75 from three decades ago. That’s 2.9 extra pitchers – and pitching changes – per game. Add it all up, and balls are put in play about once every four minutes. Nevertheless, the average game last year lasted a record 3 hours and 5 minutes. In other words, it’s taking longer to see less. Fans, without question, have noticed. Major League Baseball is on pace for its lowest attendance since 2003, and attendance – relative to 10 years ago – is down by more than 4,000 fans per game. I’m all for executives and managers using information – analytics – to win games. But not if it makes people turn the channel – or turn it on to begin with. In recent years, I’ve come across numerous suggestions about improving pace of play – and the game itself. From limiting pitching changes to outlawing the shift to unlimited substitutions to starting extra innings with a runner on second base (which I think is an abomination), everyone has ideas about how to make baseball better. Well, if I were commissioner for one day and one day only, I would make one change (and one change only) to the game: I would institute a pitch clock. Only I wouldn’t make it 20 seconds, as many have suggested. I would make it 15. That’s right. Fifteen seconds. When the ball hits the pitcher’s glove, the clock starts. The ball must be out of his hand before it hits zero. If not, the umpire calls a ball. Let’s do the math. The exact number varies by year, but there are roughly 300 total pitches in a game. In 2017, pitchers averaged 23.8 seconds between pitches. Call it 24. That’s 7,200 seconds between pitches per game. That’s 120 minutes – exactly two hours. If pitchers averaged 15 seconds between pitches, that’s 4,500 seconds between pitches per game. That’s 75 minutes. Thus, a 15-second pitch clock – and nothing else – would shave 45 minutes off the game. Just like that, we’re looking at games around 2 hours and 20 minutes. If 12 seconds is enough time to pitch with the bases empty, shouldn’t 15 seconds be enough time to pitch with runners on? Former pitching coach Ray Miller had a simple saying: “Work Fast, Change Speeds, Throw Strikes.” A pitch clock would take care of “Work Fast.” The rest is up to the pitcher. To me, there’s no disadvantage to being efficient. In fact, it may even help some guys. There are a lot of sayings in sports about overthinking. “Think Long, Think Wrong” and “Paralysis by Analysis” are two of them. A pitch clock would force pitchers to stick with their scouting reports and go with their gut. It would also force guys to stay in shape, which may prevent injury. Not everyone, of course, would like this change. After all, baseball has remained more or less the same since its inception. It has been hesitant to adopt new rules, which is good. One of the things that people love most about baseball – and one of the things that’s made it our national pastime – is that it’s, well, timeless. There’s no clock. Not all clocks, however, are created equally. I’m not suggesting that baseball be played within a finite amount of time like the NBA (48 minutes), the NFL (60 minutes), or soccer (90 minutes). I’m simply suggesting it be played with a defined pace. A pitch clock would speed up the game without robbing it of its structure or soul. We would still have nine innings, and teams would still hit until there are three outs. Aesthetically, I don’t know that the pitch clock would even need to be on the scoreboard. There could be a small clock along the backstop behind home plate, or the third base umpire could keep time with a stop watch. Aside from that, nothing would change. Baseball purists, I’m sure, aren’t too happy with me right now! A clock, they say, would fundamentally alter the game and ruin what makes it great. While I understand and appreciate that perspective, I also want us to ensure that future generations experience – and enjoy – baseball like I did. If we lose a generation of fans, the future of the game would be in jeopardy. Not sure how you feel about a pitch clock? Just remember there was a time when basketball didn’t have a shot clock. Teams would often get a lead and stall. It wasn’t uncommon to see final scores in the 20s – or teens. That changed in 1954 – 63 years after the game was invented – when simple arithmetic led to a 24-second shot clock. Sixty-four years later, the shot clock remains one of the greatest innovations in basketball history. Does it feel odd or wrong to see a shot clock in basketball? Not at all – especially if you were born after 1954. Instituting a pitch clock might feel strange at first, but it would eventually become a natural part of the game – especially for kids who grow up with it. The only other change I would institute pertains to instant replay. In an effort to get all calls correct, we’ve created additional delays. Managers should get one challenge per game, period. They should also be required to challenge plays instantly – as opposed to having someone review the play first to determine if there’s a legitimate chance of getting a call overturned. This would force managers to be more selective. If a home run looked questionable, review it. But if the umpire gets a call wrong on a bang-bang play at first base, well, life goes on. Missed calls are a part of sports. They’re unavoidable, even with instant play. As players, we learned to live with missed calls. So did fans. Let’s do whatever we can to keep the game moving (more on this in a future blog). That, of course, is a minor change – relative to a 15-second pitch clock, anyway. As it stands, almost every pitcher in baseball averages at least 21 seconds between pitches. Former Cy Young winners David Price (27.4) and Justin Verlander (26.9) are among the slowest-working starters in the game. Baseball cannot continue at this pace. With one simple tweak, I believe we can attract a younger generation of fans without alienating baseball purists and lifers. So for now, let’s forget all this talk about limiting pitching changes and outlawing the shift. A pitch clock could solve a lot of baseball’s problems. And who knows? It might just save the game. While this is an excellent idea, let’s remember it takes two to tango. 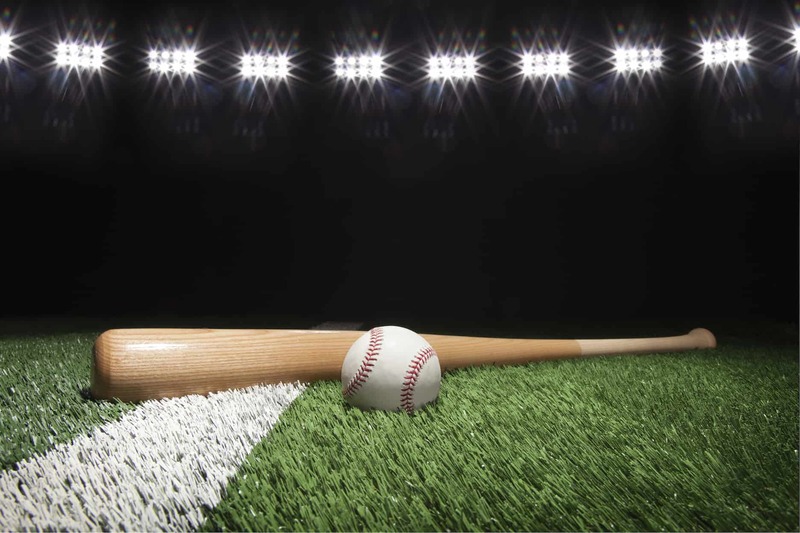 For every pitcher who takes an extended period of time between pitches, there are also hitters who take an extraordinarily long time after each pitch to get back in the box (step out, adjust helmet, adjust gloves, adjust wrist bands, kick dirt of cleats, swing bat twice, step in dig in….you get the picture. ). Why not put a similar restriction on hitters? I know MLB can warn/fine batters who step out, but what about something stronger, more immediate? For example, after the ball is back in the pitchers’ hand, the batter has five (or 10) seconds to be back in the box ready to go, or the umpire will call a strike. If you’re timing the pitcher, the batter should be timed as well. The shot clock came to the NBA in 1954, but it didn’t come to college basketball until the 1980s. The lack of a shot clock was why I preferred the college game, because it allowed for more strategy. So what if the score was low, it was very interesting watching less-physically talented teams try to outwit their opponents. Now college and pro games are basically the same, and I think they’re both boring. But I’m sure most people don’t share my views. I like your suggestion for speeding up the game because it basically leaves the game alone, and just makes it faster. Putting more limitations on mound visits could also help. But, like you, I’m adamantly opposed to banning shifts or starting extra innings with runners on base. I don’t see how the first can really be enforced (are you going to legislate where the outfielders play too?). And the second could make a mockery of statistics like runs, RBIs, and ERAs. It’s worth noting also that hitters have changed, not for the better. More and more guys are trying to put backspin on the ball to make it carry farther. No question, this style is causing more strike outs. I love a home run as much as anybody. But, it was so fun and interesting to see Tony Gwynn, Wade Boggs, Brett Butler. Brett wasn’t on their level and didn’t go opposite field as much, but he had a definite craft and it was different than the rest of the line up. Thank you so much for all you have done for guys like me. I know you hear it all the time….I grew up with TBS. You were my favorite player. I tried to copy your swing and so on. But it was more than that for me. I loved your interviews and the stories that were told by Skip, Pete and Ernie. We got to know you and the wonderful man you are. It was a huge influence in my life. I appreciate that. You sparked my interest in baseball. I went on to play some junior college ball in Paducah KY. I have now run our local Babe Ruth League for 22 years. Coached a bunch! We advanced to the Babe Ruth World Series 2 years ago with a 18u group in Ephrata, Washington. Wonderful experience. Baseball has always been a huge part of who I am. No doubt in my mind, I owe a huge chunk of who I am to you. I’m your biggest fan in Kentucky. I’ve been to the store a couple times in hopes of meeting you but haven’t got that lucky yet. I’ve had a couple long conversations with your partner about you. Very nice fella. I mailed you a blank post card when I was a kid. You signed it and mailed it back. Such a thrill for a 12 year old kid. I will never part with it. Thank you very much! Hopefully, I will get to meet you and have a few minutes of your time some day to talk baseball and about life. It would be a thrill ! I would have a hard time supporting a plan to put a clock on a baseball game. A baseball game should take as long as it takes. That’s part of the beauty of it to me. If a game takes three hours then fine. If it takes an hour and a half that’s fine, too. Clocking pitches has been tried before and the umpires enforce it for about two months and then forget all about it. To my way of thinking, if you want better baseball then have fewer teams. Contraction would make for better teams and more exciting games. I’m realist enough, however, to know that Major League Baseball and the Players Union would never let that happen. So far, it seems, limiting the number of mound visits hasn’t speeded things up at all and Play Review has proven itself to be a total drag on game time. 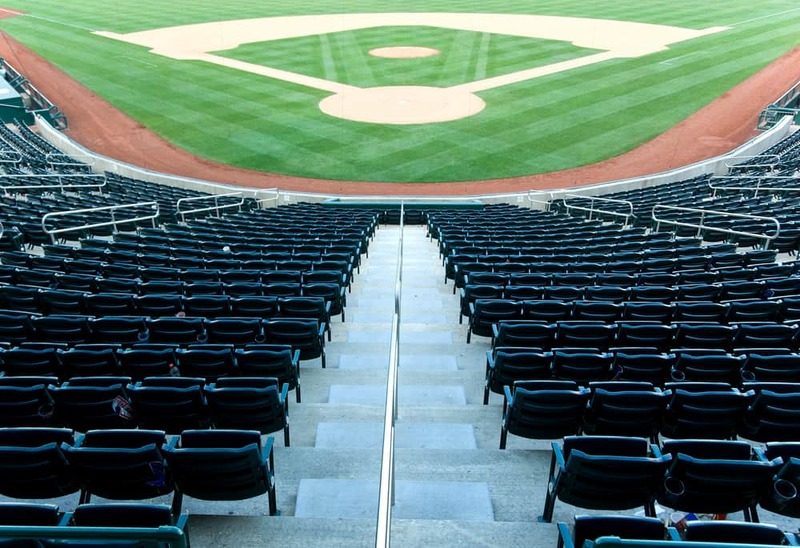 Sadly, Baseball finds itself trying to please a population that has either a short attention span or an attitude that their lives are too busy for a game of baseball’s natural length. Maybe we should all just sit back and relax a bit more often. Hey Dale, I’m new here. Love talking baseball. Just want you to know that you were influential in helping my son make a decision between baseball and an LDS Mission. As much as I like baseball, I wanted him to have the mission experience because I know of the foundation it creates for life. Anyway, he played before and after his mission and is a great young man. Both baseball and the mission served him well. To your article this week…I love all the new stats and I love all the analytics that drive the game today. I do agree that the game needs to speed up. I’m not a doctor but my concern with a 12 second pitch clock is…just seems that physiologically, can the human arm handle that kind of rapid fire repetition? When I coached young teams if I had pitcher who threw more than 25 pitches in an inning, he was done for the day. I would make a pitching change. I just don’t think the arm can handle that kind repetitive load and torque for that period of time. Call me “Old School” or just old, but I have a hard time supporting any plan to put a clock on a baseball game. I’ve said it before, the game is supposed to take as long as it takes. You can either see it through or you can do as the Dodgers’ fans do and leave early. I think a better solution to the popularity problem is (“Hush your mouth”) Contraction! In the true spirit of “Less is more”, fewer teams would mean better and more exciting teams. Don’t see the Players Union or MLB going for it but that’s my solution. Call me Old School or just old but I’d have a hard time supporting any plan that puts a clock on a baseball game. I’ve said it before, a baseball game should take as long as it takes. You can either sit thru to the conclusion or you can leave early but, either way, let it run it’s natural course. My solution to the popularity problem is the dreaded CONTRACTION! In the true spirit of less is more, fewer teams means better teams and more exciting baseball. Having said that, I’m sure neither Major League Baseball nor the Players Union would allow that to happen. Thanks for listening and keep the blog going. This is spot on…it is frustrating to see the human element replaced by data analytics, as well intentioned as they are. Intent and outcome have not synched up at all. A pitch clock has the potential to merge the two. I’ve been observing its testing at minor league level games this year. So far, from a fan’s (and admitted purist’s) perspective, I like it. Your idea of 15 seconds is outstanding, it would signal a strong commitment to increase the pace of play. Can you please run for the commissioner job when Manfred’s time is up? Please?